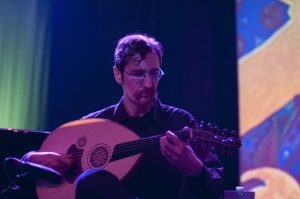 Eliot has been performing the oud since 1992. He has contributed as a performer, composer, or audio engineer to over 80 albums produced in the US, UK and Turkey (discogs.com, allmusic.com), and to several TV series and feature films. His music is deeply inspired by the structures (makam, usul, seyir, doğaçlama) of Anatolian music.